I don't generally run this kind of post, but then, I also don't generally run reviews 6 months before a book's publication date... so I'm making an exception here. 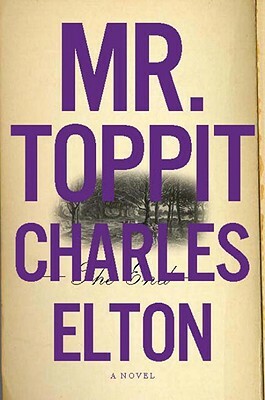 Back in June, I reviewed Charles Elton's debut novel, Mr. Toppit, which goes on sale today. If you missed the original review, you can check it out here. If you'd like to order, you can find the book at a local indie near you here.